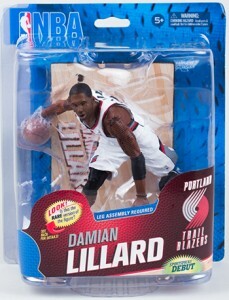 2013-14 McFarlane NBA 23 Sports Picks is a mix of new and old names for the line. But even most of the familiar names haven't had figures for some time. 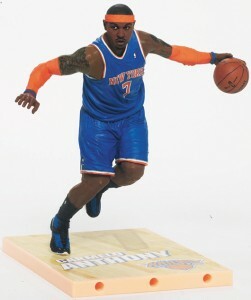 McFarlane NBA 23 isn't tough to complete, at least for the regular figures. Collectors have only six to go after. The biggest star of the group is Kobe Bryant. 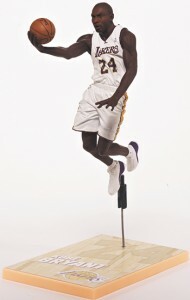 This is the future Hall of Famer's seventh figure, but features and new pose where he is in mid-air. 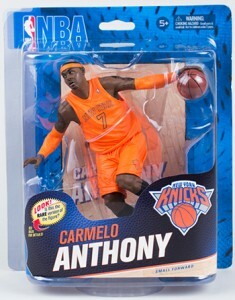 Carmelo Anthony appears on his fifth figure. It's his second as a member of the New York Knicks. 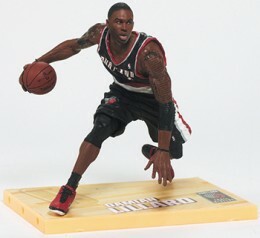 San Antonio's Tony Parker is the final player in MacFarlane NBA 23 to already have a figure. 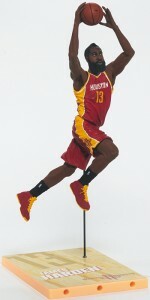 That said, his last appearance was back in 2007 with NBA 12. Among the debuts in MacFarlane NBA 23 is Damian Lillard, the reigning Rookie of the Year. 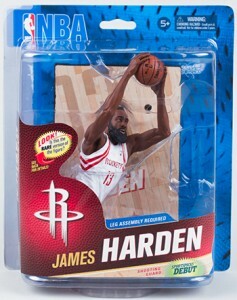 James Harden and Chicago's Joakim Noah are the other two players getting their first McFarlane Sports Picks figures. Variant fans have a handful of additional figures to chase. All but Noah have variations, which are easily discernible by their jerseys. 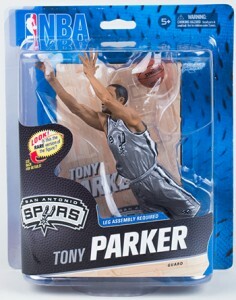 The rarest McFarlane NBA 23 variant is Tony Parker. 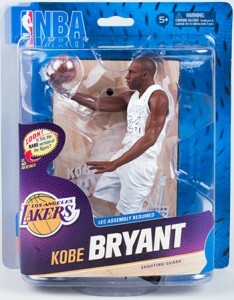 No more than 100 of his alternate jersey figures exist. 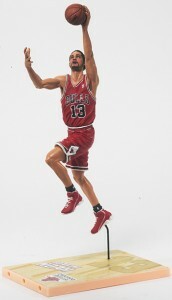 Below is a full McFarlane NBA 23 visual guide that shows all six of the figures in the main lineup. Click on their name or image to shop for figures on eBay. To see the variant figures and their production figures, click the tab at the top.